Mobility solutions company LM Industries Group, Inc., the parent company of vehicle manufacturer Local Motors, launched a global autonomous fleet competition called the Olli Fleet Challenge in September 2018. Brittany Stotler, vice president of marketing at Local Motors, said the Olli Fleet Challenge was inspired as a natural extension of the intents behind the design and build of the Olli: adaptability and customization. The goal of the challenge is to collaborate with communities to see how autonomous vehicles will integrate with and successfully serve cities, she said. 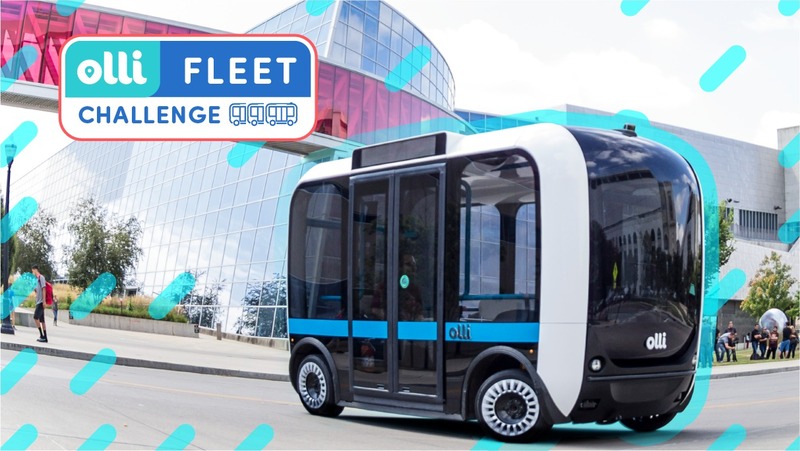 Entrants must submit a proposal based on the information requested in the Olli Fleet Challenge Guidebook provided by Local Motors via Launch Forth, a mobility solutions community created by Local Motors. The proposed plans should address major points like deployment, storage and charging, routes and ridership, and how these would be addressed over a three-month usage of an Olli fleet. So far, the Olli Fleet Challenge has only been opened to entrants in Sacramento and Phoenix. The final submissions were accepted on November 5, 2018. Stotler said the judges are reviewing the entries and will announce the winners—one in each city—in a few weeks. The judges evaluating the entries in this first fleet challenge include Sandra Watson, the CEO and president of Arizona Commerce Authority, and Congresswoman Doris Matsui of California’s 6th District. The second fleet challenge will launch in Australia and the Nordics, with additional challenges to follow in the coming months, according to the press release. Local Motors is also accepting requests to bring the Olli Fleet Challenge to your home city on its website. Stotler said the team at Local Motors sees the Olli Fleet Challenge as the best opportunity for local governments or private entities around the world to envision, create and test the future of mobility in their own communities.